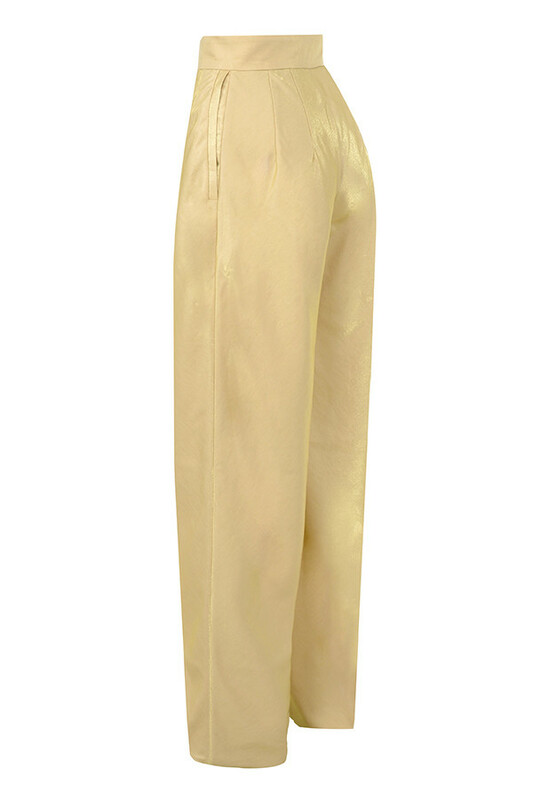 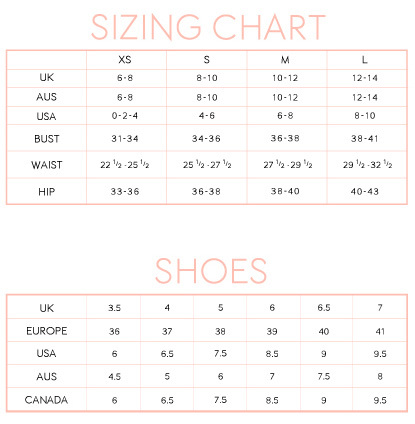 These lustrous gold wide leg trousers are super luxe. 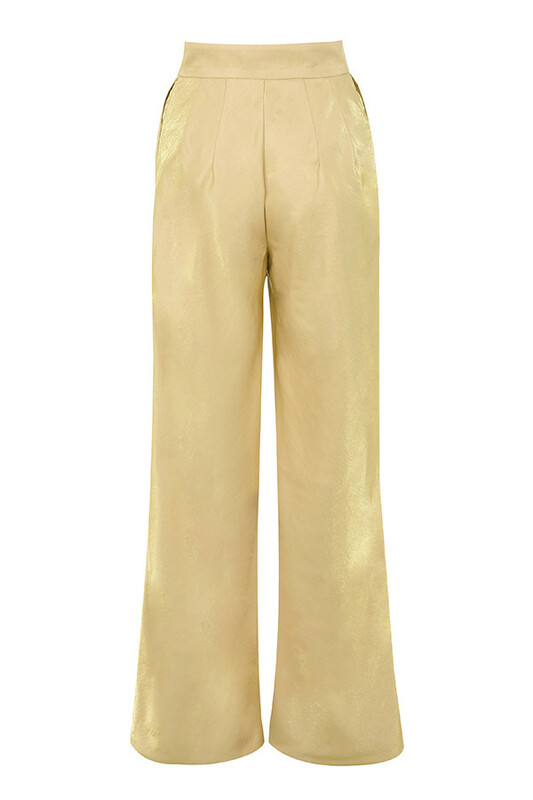 Crafted from an iridescent gold silky fabric, 'Margo' have a flattering wide leg fit, nipped waistband and flat front. 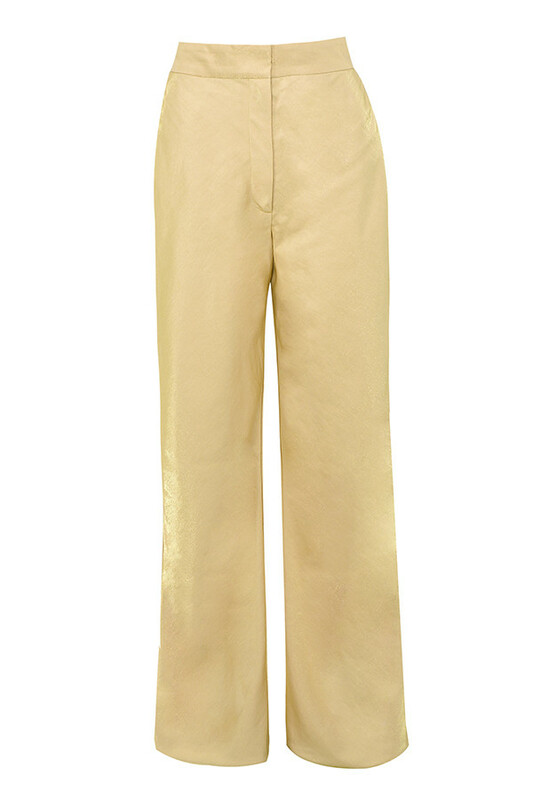 We love these teamed with a sheer shirt and triangle bra for a luxe luminous vibe. 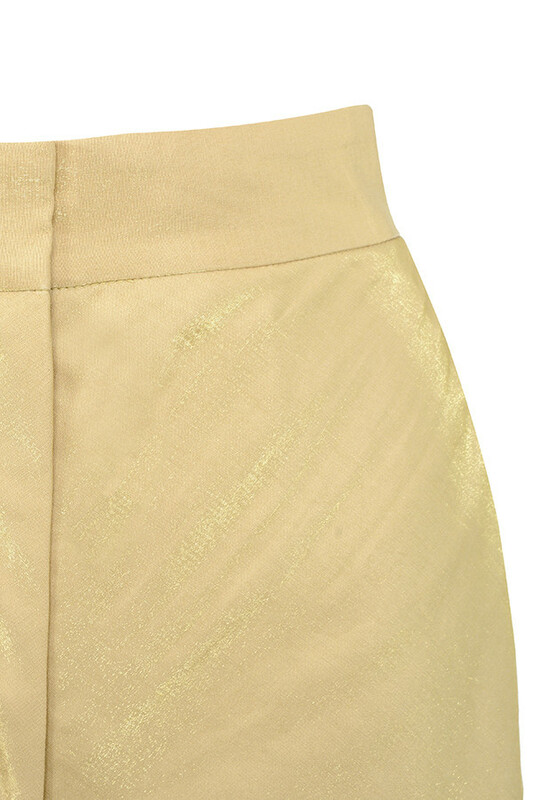 Made from silky metallic fabric.